Sometimes songs become hits that weren’t supposed to become hits. Mike Oldfield wasn’t supposed to have hits. He played guitar for groups that didn’t have hits. His first solo album comprised two long instrumentals, each in excess of 20 minutes. This was not a man designed for the pop charts. He didn’t even know that “Tubular Bells” had been released as a single in the US until it reached the Top 10 — it was never supposed to be a single. 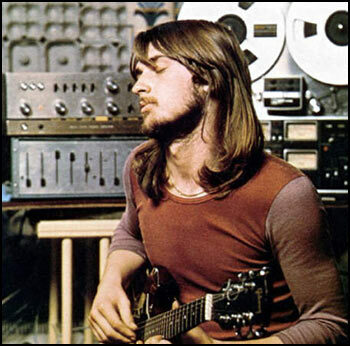 After years of playing guitar on the folk and rock scenes – all the while composing music in his spare time – Mike Oldfield finally, in 1972, after months of trying, convinced studio owner Richard Branson to sign him up for his fledgling record label. Oldfield became the first artist signed to Virgin Records and immediately went into the studio. 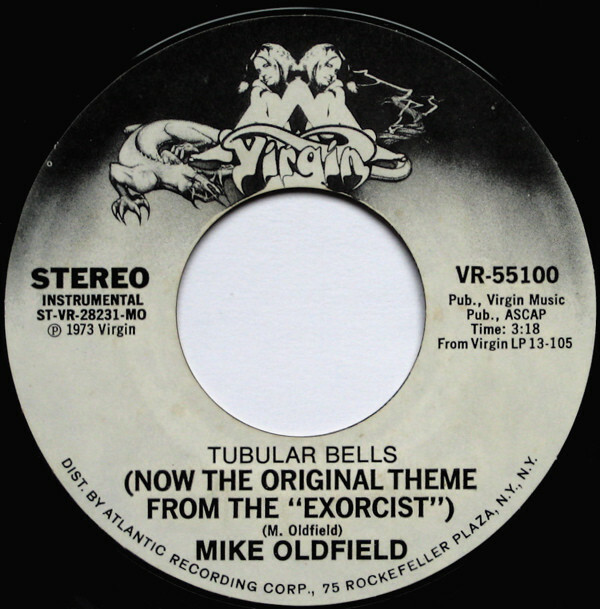 Using his already recorded demos as blueprints, Oldfield joined pieces together to create a multi-part instrumental entitled “Tubular Bells” which later served as the album title, as well. With the exception of drums and flutes, he played every sound heard on the record — here’s a list: grand piano, glockenspiel, Farfisa organ, bass guitar, electric guitar (including “speed guitar”, “fuzz guitar”, “mandolin-like guitar” and “guitars sounding like bagpipes”), taped motor drive amplifier organ chord, assorted percussion, acoustic guitar, flageolet, honky tonk piano, Lowrey organ, tubular bells, concert tympani, Hammond organ, Spanish guitar, vocals (“Piltdown Man” and “Moribund chorus”). Impressive. Dude was 19 years old. Over in the US, director William Friedkin was hanging out at the offices of Atlantic Records (the US distributor for Virgin) when he heard a test pressing of Tubular Bells. Having recently decided he wasn’t thrilled and chilled by the score of the movie he was working on, he asked if he could use a section of “Tubular Bells (Part One)” in a couple of scenes. Permission was granted and The Exorcist now had an eerie new soundtrack. 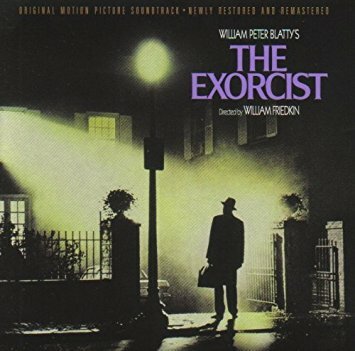 Unbeknownst to Oldfield, Atlantic Records decided they needed a single to take advantage of the success of The Exorcist at the box office. So in early 1974 someone over in America extracted a few sections from the larger work and Frankensteined them together. Oldfield was horrified when he discovered this since he’d had no input and hated the edits — although it’s hard to argue with a #7 smash hit that helps propel your album to multi-million platinum status. But argue he did, and he didn’t release the US edit in the UK — rather, Oldfield released an entirely different section. It barely made it into the UK Top 40.